A man carrying a firearm in his carry-on luggage got past the TSA screeners at Atlanta Hartsfield-Jackson International Airport and flew with it to Narita International Airport on January 3. This occurred during the government shutdown, after "hundreds of TSA agents from at least four major airports had called in sick," according to CNN. The man, flying on Delta Airlines, had apparently forgotten that the gun was in his bag. Once he remembered he was carrying it, he informed Delta, who then reported it to TSA. It's not clear when the passenger disclosed this information to Delta. "TSA has determined standard procedures were not followed and a passenger did in fact pass through a standard screening TSA checkpoint with a firearm at Hartsfield-Jackson Atlanta International Airport on the morning of January 3," the release states. 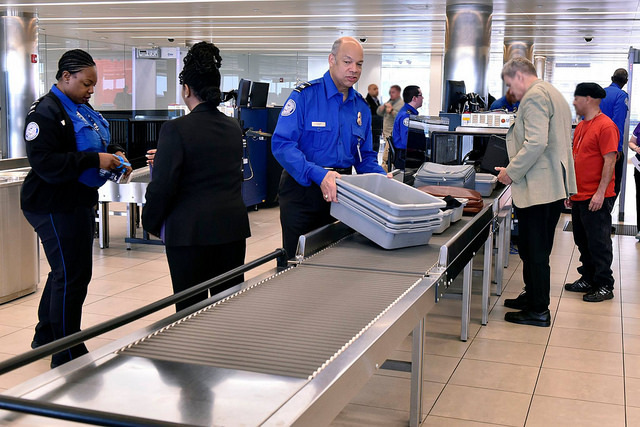 The security breach came two weeks into the government shutdown, during which TSA agents have been required to work but have not received paychecks. CNN first reported on January 4 -- a day after the breach -- that hundreds of TSA agents from at least four major airports had called in sick. TSA, however, denies that the shutdown had anything to do with their security lapse, claims that they were completely staffed that day, and states that they will "hold those responsible appropriately accountable."